The Spiritual Growth Center at the Universalist Unitarian Church of Santa Paula provides opportunities and programs to awaken and sustain love, compassion, service and personal transformation. Our goal is to help individuals discover how spiritual practice, learning, and community service can transform their lives and move the world toward peace and justice. 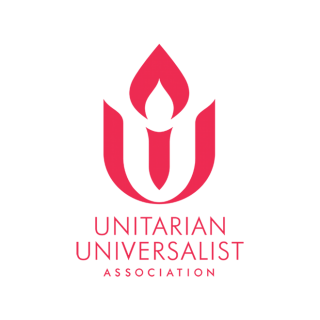 Our programs are guided by the set of Seven Principles of Unitarian Universalism and the Six Sources they draw from. One of the Principles affirms our intention to accept one another and encourage each other’s spiritual growth. Programs include stand-alone events and ongoing activities and can be found in our Event Calendar and Newsletter. 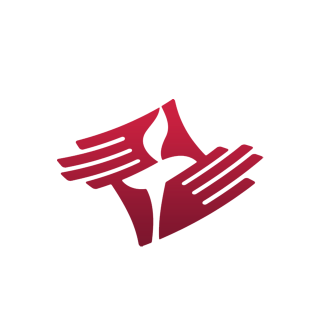 Various opportunities for adult learning are offered on weekdays and weekends and include annually a presentation of the Five Wishes End of Life Care document by our minister as well as curricula from the Tapestry of Faith of the Unitarian Universalist Association and beyond. In the past, these have included Hindsight Humor and Hope, Mindful Eating, Conversations of Faith and more. We are open to presenters both within and without our congregation. Free or with a small fee for supplies. Rev. Maddie presents monthly Gatherings on a Tuesday evening. Gathering is a time of Sound, Silence and Word. It is a time to stop in our busy weeks for Meditation, hear inspiring poetry and prose and experience professional musicians from classical to world music to jazz and more. Usually lasting about fifty minutes. Free Will Offering ($10 suggested). We offer a weekly Meditation Practice Group at 6:00 pm in the Parish Hall. This group celebrates the diversity of Buddhist and other meditative orientations and welcomes participants from all contemplative traditions to attend. Allow about an hour and bring your meditation cushion, if you have one, or you can sit in a chair. The meeting begins with a reading or short discussion, with a guided meditation leading us into a time of silence. There is power in meditating together. Led by Rev. Maddie or Jim Cole. Do you have a ukulele, mandolin or fiddle in your closet? Have you had a hankering to sing Clementine or a Beatles tune? Join us and invite your friends who love to sing! Rise Up Singing is a community monthly drop in community singing group at the Universalist Unitarian Church of Santa Paula that meets on the third Friday of the month at 7:00 PM in the Parish Hall. Join the fun as Maddie Sifantus leads us as we experience communal singing. All ages are welcome. Free Will Offering ($5 suggested). Singers and instrumentalists of all ages are welcome to this informal and spirited evening of shared music making. Bring a copy of Rise Up Singing or Rise Again, if you have one. Some copies will be available to buy or borrow for the evening. Members and friends of the congregation are invited to attend yoga in our Parish Hall on Tuesday’s and Thursday’s from 9:30 am – 10:30 am. with Yoga instructor, Lisa Hammond. Class fee is $6 – $8 per session. Lisa has been practicing yoga for approximately 6 years, teaching for 5 years, and has been blessed to have been leading yoga here in our Parish Hall since early Summer 2015. She teaches a gentle style yoga and her classes are appropriate for all levels. In addition to a variety of trainings she has taken over the years, in December 2018 she completed her 200 Hour Yoga Teacher Training Certification under the loving guidance of Ventura based Pixie Kastrup of Sacred Living Yoga. Lisa Hammond can be reached at 831-801-2276 or soaringheartsyoga@gmail.com If you’d like to receive Lisa’s weekly email, please feel free to email or text her your contact information. On Friday mornings, we offer T’ai Chi Chih, – Joy thru Movement, with Instructor Pete Gregory. Intermediate class 10:00 – 11:00 am and Beginner session 11:15am – 12:15pm. Often called a moving meditation, the movements are accessible to anybody, regardless of age weight or physical ability. Come and learn how to play with the Chi. For more information or to sign up, email Pete at psgreg24@gmail.com. Learn more at taichichih.org.